On Friday, 27 April 2012, the Obamas to Fort Stewart, GA. The President was here to sign an executive order which "stops deceptive and misleading practices by educational institutions that target veterans, service members and their families." 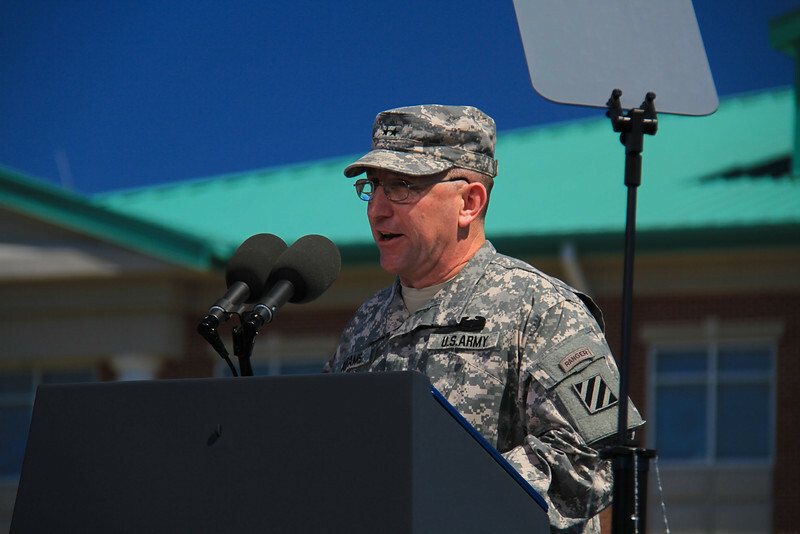 Commanding General of the 3rd Infantry Division GEN Abrams warms up the crowd in preparation for President Obama and the First Lady's arrival at Fort Stewart, GA.